DR. VALERIE BULLOCK is Professor Emeritus at Charleston Southern University having retired June 30, 2016. At CSU she was Chair of the Horton School of Music, Professor of Music and Director of Choral Activities where she conducted the University Concert Singers and Bel Canto as well as coordinating choral music education. She received her doctorate in choral music education from Florida State University and Masters and Bachelor Degrees from the University of South Carolina. Serving as Artistic Director and conductor of the Singers of Summerville since 2006, Dr. Bullock has led this fine group of professional and semi-professional musicians in numerous performances at Piccolo Spoleto as well as a full season of major choral works such as Handel’s Messiah, Brahms’ Requiem, Mozart’s Requiem, Rutter’s Mass of the Children and most recently The Requiem for the Living by Dan Forrest. In addition to conducting the Singers of Summerville, she serves as full-time Director of Music Ministries at Bethany United Methodist Church in Summerville which is one of the largest Methodist churches in SC with over 3700 members and 13 music ensembles. Dr. Bullock conducts the Bethany Chancel Choir, Chamber Singers, Men’s Ensemble and Women’s Ensemble as well as overseeing the entire music program. 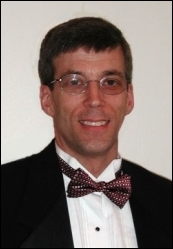 Dr. Bullock remains actively involved in many professional organizations including the American Choral Directors Association (ACDA) and Music Educators National Conference. 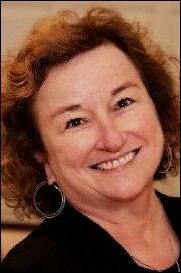 She has served as President of the SC ACDA and was Local Arrangements Chair for the Southern Region American Choral Directors Convention held in Charleston as well as Interest Session coordinator for the Southern Division ACDA Conference in Nashville. In addition to these activities, she has conducted choral clinics in Arkansas, Florida, Mississippi, Louisiana, Virginia, Tennessee and South Carolina. Dr. Bullock conducted the CSU Concert Singers in numerous foreign tours including Austria, Czech Republic, England, Germany, Italy and Scotland, as well as in three week-long Choir in Residence: two at York Minster in 2004 and 2006 and one at Canterbury Cathedral in 2012. She continues to conduct the Singers of Summerville, and in 2013 conducted them as part of the Piccolo Spoleto Spotlight Series. In 2014, she conducted the Concert Singers throughout Catalonia performing concerts in Barcelona, Girona and Palafrugel. In February 2015, she prepared the Concert Singers for a concert with Edward Higgenbottom and in May 2015 conducted them in New York City at St.Patrick’s Cathedral and St. Paul’s Chapel, Trinity Wall Street. Dr. Bullock also prepared the students for their performance with the Bach Society of Charleston in March 2016. In June of 2016, Dr. Bullock conducted the CSU Concert Singers as they performed in Budapest, Hungary and Vienna, Austria. JOE SWISHER has taught general and choral music to over 15,000 students in four Berkeley County Schools for 31 years. A National Board Certified teacher, he has led a large award winning choral program at College Park Middle school for the past 14 years. He has also directed Berkeley County's talented and gifted choral program each summer for most of his career. Joe has written, won, and administered several large grants for his programs through the years. He has been elected Teacher of the Year by his peers twice. Joe has mentored several student teachers, and is proud of the remarkable number of his former students who currently teach music throughout the Lowcountry and beyond. He earned a Bachelor of Education from West Virginia University, and studied school administration at Charleston Southern University. 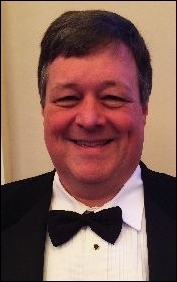 Additionally, he has served as Music Director of Peace Presbyterian Church in Goose Creek for 22 years, and sang in the Charleston Symphony Orchestra Singers' Guild for many years. Joe has diverse interests; from real estate to technology to motorcycles, but his greatest joy comes from time with his wife, Carol, and his 3 grown children. Joe has sung with the Singers of Summerville since 2010, and recently enjoyed the stage at the James F. Dean Theatre as Music Director and performer for the summer benefit performances of “From the Front Lines to the Home Front”. PAUL H. FLETCHER founded then directed the Singers of Summerville for three years. He currently resides in Atlanta, Georgia. While in the Summerville area, he was a Vocal Artist in Residence at Charleston Southern University (CSU) where, in addition to maintaining an active voice studio, he taught a course in music appreciation and directed the university's men's chorus, The Singing Buccanners. Prior to coming to CSU he served seven years as the Director of Music Ministries at Bethany United Methodist Church in Summerville, South Carolina where he directed and oversaw a music program of twelve ensembles. Prior to moving to South Carolina, he served in churches and colleges in Alabama, Texas, Wisconsin, and Minnesota. He holds a Bachelor of Music in Voice Performance from The College of Wooster, A Master of Music degree in Choral Conducting from the University of Illinois and has pursued the Doctor of Musical Arts degree in Choral Conducting at the University of Wisconsin/Madison, where he served as personal assistant to the esteemed choral musician, Robert Fountain.